Solo Camping. Should you try it? I am the first to admit I am not a great camper. I love my bed. I love all the modern conveniences of today. So why camp? Sometimes necessity dictates that you need to camp. 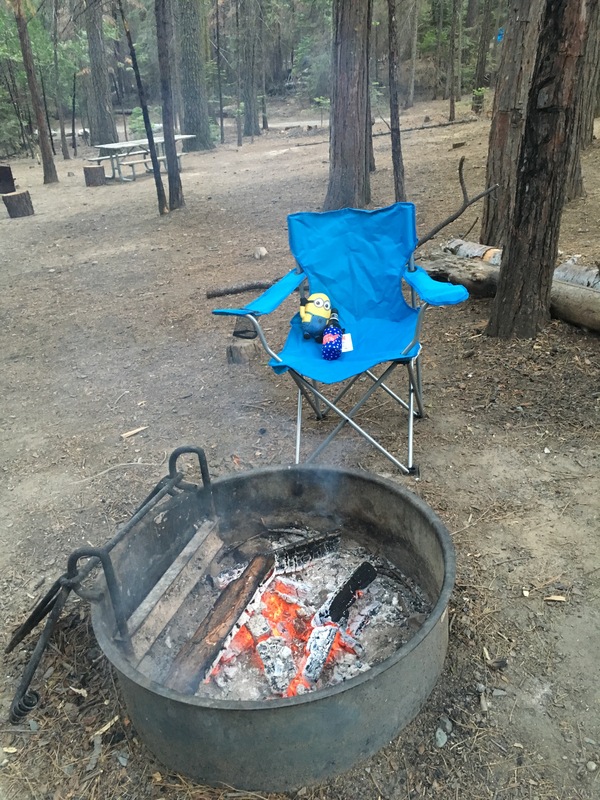 And sometimes you just decide to camp…by yourself. Wait…WHAT?!?! That’s right I said it. Earlier this year I went to Yosemite National Park. I had some options of accommodations. There were several hotel/lodges (very expensive), a hostel (a half hour outside the park entrance) and many, I repeat many camp grounds. When you’re in the woods, or a state camp ground with your nearest neighbor 30 feet away, you really have no one to talk to but yourself. And if you don’t bring something to entertain you, lights out comes super early! Ok so maybe I wasn’t totally alone…I had a minion with me. So, if you decide to camp alone. Here are some tips which will allow you to have a great time by yourself. 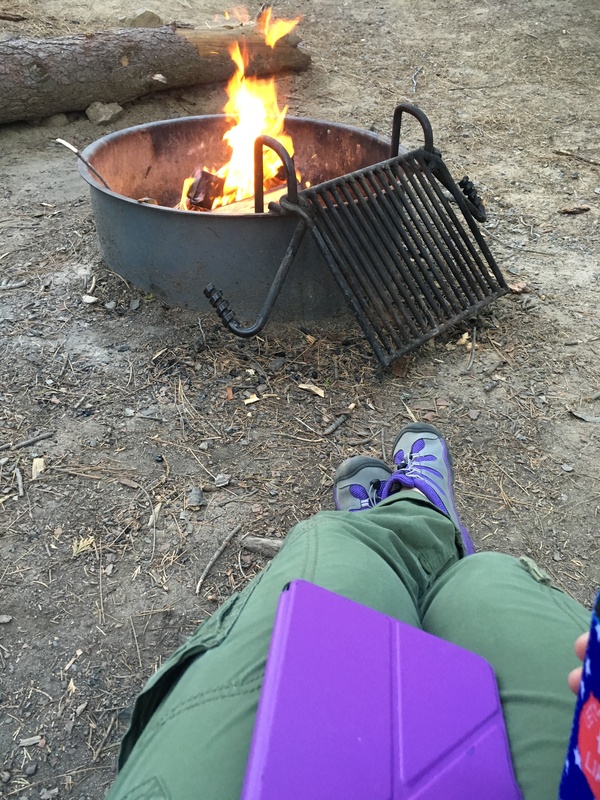 #1 Get a starter log…or two: Not all of us were boy scouts or had a wilderness leader for a Dad, so how would you start a fire? Good question! The answer…a starter log. Place the starter log at the bottom of the pile then teepee the logs around the starter log. Light the bag and voila! #2 Bring something to do: Look you’re by yourself…with no electricity. Unless your laptop, cell phone or iPad are completely charged from not using them all day then you will have nothing to do but stare at the fire. So bring something, a deck of cards, a kindle, or find a local watering hole and meet some locals. #3 Check in with the Ranger! : This is super important for safety reasons. Let them know you’re there by yourself. It’s great because they will periodically check on you to ensure that you are safe and when they do you will have someone to chat with for a spell. #4 Bring more water than you think you need: This sounds like a no brainer but although there may be resources for water…it may need to be purified in order to drink. I always have a spare gallon of water in my car. It doesn’t hurt. You could also buy a Lifestraw. It’s super convenient and I bring it on all of my travels. It’s a purification system that allow you to insert the straw in any water source and it will purify the water as you drink. Pretty cool. Let’s face it, even if you’re in a beautiful all-inclusive resort in Mexico, if you drink something with ice in it you could still get Montezuma’s revenge…I did. Wish I had my Lifestraw then. #5 Bring extra layers/blanket: You may think you’ve packed enough but when you’re camping being out in the elements. You may need extra protection. One thing I think they should invent is a small, battery operated, heater. That would be amazing. So those are my 5 top tips to surviving a solo camping trip above the essentials. If you have questions about what I brought or what type of gear I used send me a comment below. Until next time, life is short, travel now! You are so brave! I would die if I had to stay in a tent on my own.. every single sound who scare the crap out of me haha! Awe thanks! But it really isn’t that bad. When you stay at a state campground the closest human is a stones throw away so you’re among friends.